Tammy Hernandez was in North Portland where 1600 Hormel hams were being unloaded into the Sunshine Division warehouse. Safeway Albertsons Communications Director, Jill McGinnis, told us about the partnership between Safeway and Hormel, and how this large donation of hams was the result of a lot of commitment by Safeway employees and a lot of hard work. Sunshine Division’s Executive Director, Kyle Camberg, told us how the hams will be part of their holiday food boxes for people in need. In addition, the large donation means the Sunshine Division will be able to say “yes” to more people who need food this time of year. And Scott Leather, from Hormel Foods, told us the donation this year is triple the number of hams from last year. 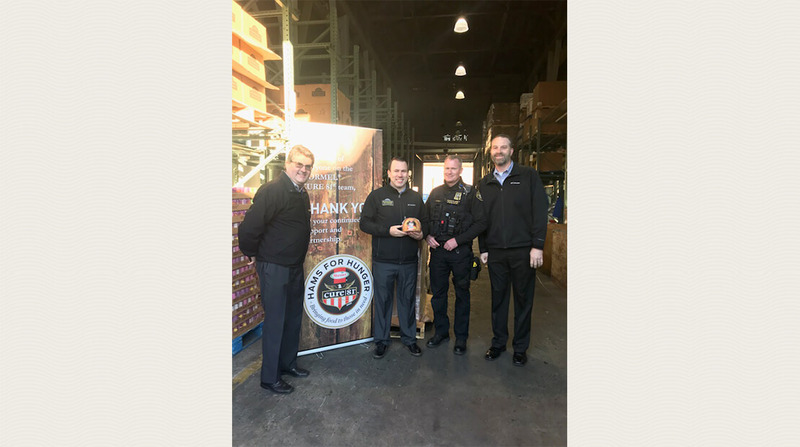 Hormel donates hams to charities around the country to help make a difference during the holiday season. Hormel Foods Heats Up the Canned Meat Aisle with SPAM® Hot & Spicy Iconic meat SPAM® Chopped Pork and Ham is now available in a Hot & Spicy variety in the UK.